I am in need of some help. I have a large area of my house (kitchen, sitting room, dining room) that are in desperate need of lighting. I’d like to keep the lighting in the sitting room and just add pendants over the island and a fixture in the dining room. However, I noticed many lighting websites have ‘collections’ of lights that all match. I don’t necessarily want to be so matchy/matchy, but don’t have a good eye to make sure everything works together. HELP! I’ve attached a picture,so hopefully that will help give you an idea of my space. 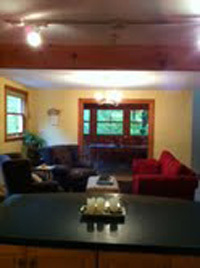 The wood beams and trim in your home are beautiful. I’m guessing that you are looking for something a little rustic to play off the wood, but stylish too. I agree with matching (sets). 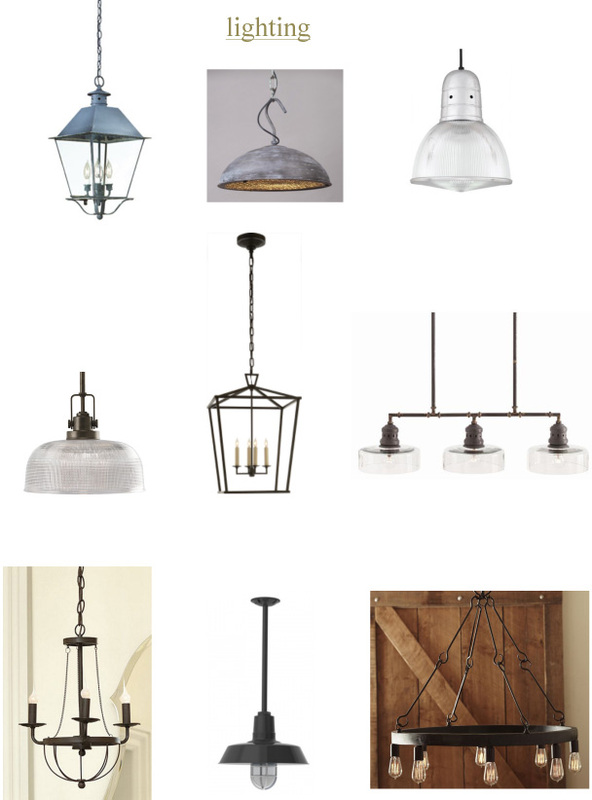 I find them too constraining and tend to suggest to clients to find similarities in lighting rather than exact matches. If you keep a few characteristics related, like finish (Oil-rubbed bronze would suit your house), material (glass & metal or wood), or shape, the result will be cohesive but not matchy-matchy, as you called it, which can get old fast. The attached Idea Board illustrates lighting fixtures that work well together, but aren’t exactly the same.